The holy month of Ramadan is on, and it is a period where Muslims all over the world consecrate themselves for Allah, bringing themselves closer to him, so that his windows of blessings should be open unto them. Like you all know. Ramadan is a period in which Muslims in the whole world observe fasting until the very last day of the month. 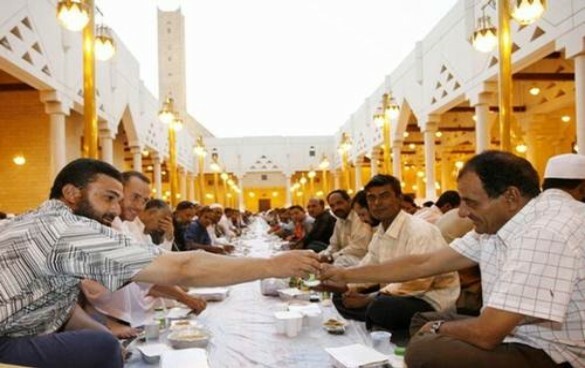 They ate just two meals in a day, the first one is before dawn, popularly known as "Suhur" and the last one is after sunset, which is called "Iftar". They hardly consume any food in between these two meals, But are you aware there are health benefits of fasting during Ramadan? The period of Ramadan is characterized with delicious dishes of different varieties, which are rather irresistible, however, Muslims that are engaged in fasting can only have these meals just twice in a day. Perhaps it might be true that some of them experience digestive problems during this period, owing to the long gap between the two meals, it is also a fact that the long fasting throughout the month of Ramadan can have a number of amazing health benefits. Once you are partaking in the fast and you ensure that you consume lots of healthy foods, and keep yourself properly hydrated during this month, then it is assured that you can even get healthier than ever. When you avoid to consume lots of sweet and oily food during this month of Ramadan, it is very possible that you might lose weight quite easily. Another reason is because you are eating just two meals in a day. If those two sets of meals consists of balanced diets and healthy, then be rest assured of losing some few pounds before the end of the month. Fasting during the month of Ramadan is a great way of improving your self control, especially when it comes to consuming foods. Even when the period of fasting might have elapsed, you can always draw inspiration from the self-control you exercised during the month and use it whenever you feel like eating healthy. During this month of Ramadan, people tend to eat at home and just twice in a day, avoiding fast foods, junk foods and the likes. This act helps in reducing their blood cholesterol levels and fats to a very great extent. During this period of fasting, most Muslims refrain themselves from indulging in vices such as drinking, smoking, etc. because it is a holy month. This habit can help you take a break from your addictions and can also help you to curb the addiction completely. Fasting is one good way of detoxifying your body system. Since your body is experiencing a break from the regular intake of food, especially junk food. Fasting during the month of Ramadan can help in the detoxification process and keep you healthy and strong. Various studies have shown that fasting has the ability of improving the immunity of your body to a very great extent, as your system gets detoxified and your digestive system produces healthier fluids. During the period of fasting, the metabolic rate of your body decreases and also the blood fat levels. This eventually helps in the reduction of conditions like high blood pressure and other related health problems. Stay healthy and reap the amazing health benefits of fasting during this holy month of Ramadan. Don't just enjoy this message alone, kindly share this post with your friends on various social media platform, use the social share icons below to achieve this. Thanks for reading.